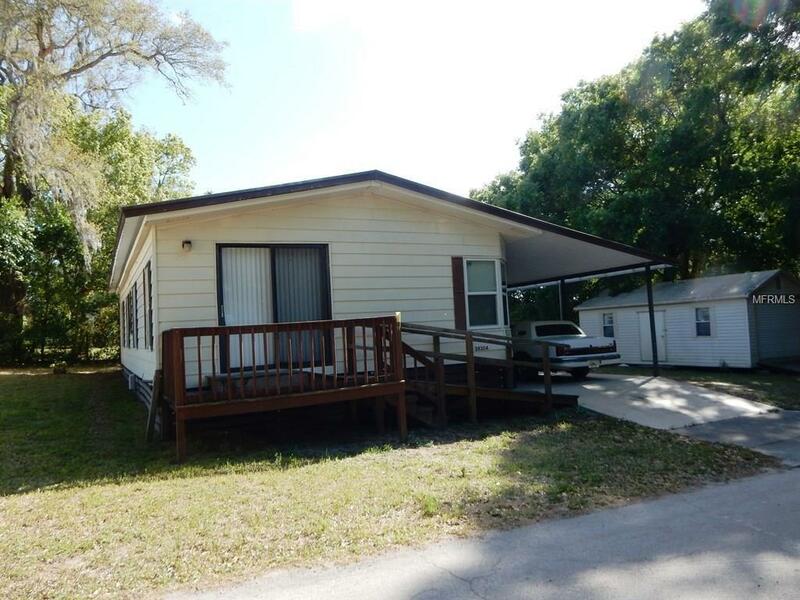 Welcome to your Furnished, 2 bedroom, 2 bath home with Metal Roof on quaint drive... just off main road with easy access to shopping, restaurants, schools, doctors, YMCA, bowling and theater. Wooden Ramp from carport to sliding glass doors, opening into your spacious Great Room, with plenty of room to entertain guests. Dining area with windows is light, bright and open to great room. Kitchen boasts numerous cabinets, breakfast bar, window over kitchen sink and all appliances convey. Wood laminate and carpet floors with Inside Laundry room includes washer and dryer... has an exit door to covered carport, long enough to double as a covered porch sitting area. Detached shed is the perfect place to store extra items or tinker in your own workshop! OWN your land with NO HOA fees or deed restrictions on this well established lane... large .23 acre lot. Bring your suitcase and Move Right inCALL Today!